I’ve just made a new page about the life and work of the Ladybird artist B H Robinson. 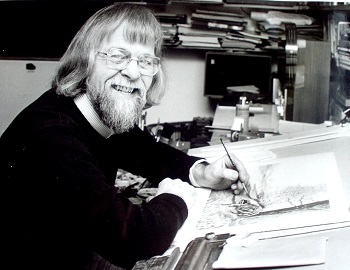 He illustrated a large number of books for Ladybird in the late 70s and 80s, including ‘Horses’ ‘Dogs’ and many of the ‘How it Works’ and ‘Leaders’ series. Found this article really interesting. I've always wanted to know more about Noel Barr (author) and P B Hickling (artist) of the ten iconic books in the Nature Series.